Perhaps fitting in a year that marks the 40th anniversary of the Judgment of Paris wine tasting, the UK’s leading wine publication, Decanter Magazine, has announced that Domaine Serene Winery’s 2012 Winery Hill Vineyard Pinot Noir garnered a 95-point score and one of only thirty-one Platinum “Best in Show” medals at its 2016 Decanter World Wine Awards (DWWA). An elite international panel of judges, including 69 of the world’s 300 Masters of Wine and 26 Master Sommeliers, based their decision on a series of blind tastings in April of top Pinot Noirs from around the globe. Out of more than 16,500 wines entered in the 2016 DWWA, only 31 received “best in show” honors for their respective categories. Less than 2% of all international medal winners were from the United States; and only five out of the total 539 DWWA gold and platinum medal-winners were American. Domaine Serene took home a total of eight medals from the London-based contest, including one platinum “best in show,” one silver medal and six bronze medal honors, the most of any American winery. The winery’s 2012 Yamhill Cuvée Pinot Noir had also recently been honored by Decanter Magazine in an international tasting event late last year, earning a 95-point score at the Decanter Fine Wine Encounter in November 2015. 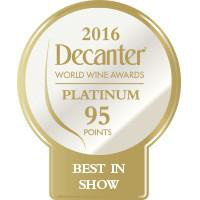 Decanter Magazine is not the first major publication to recognize Domaine Serene as one of the world’s top wine producers. 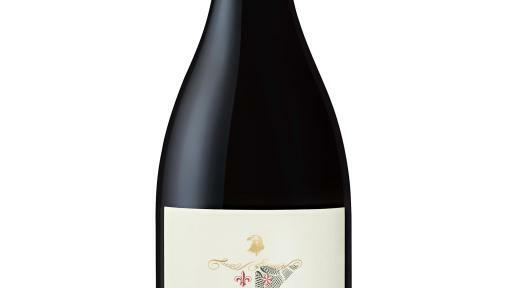 In 2013, the Domaine Serene 2010 Evenstad Reserve Pinot Noir was the Wine Spectator’s top-ranked Pinot Noir in the World, and #3 in their Top-100 ranking of all wines that year. Renowned wine critic James Suckling has included Domaine Serene Winery in his prestigious list of Great Wines of the World for the past three years, an honor shared by only two other wineries in North America. Additionally, wine critic Anthony Dias Blue has described Domaine Serene as “The Château Lafite of Oregon”; and Robert Parker, Jr. of the Wine Advocate has designated Domaine Serene as one of only two wineries in the state that merit an “Outstanding” rating. A passion to produce exquisite Pinot Noir led Ken and Grace Evenstad to Oregon in 1989. When the time came to pursue their longtime dream of planting vineyards and producing world-class Pinot Noir, they invested in a 42-acre hilltop estate property that had just been logged in the Dundee Hills of Oregon. Today, Domaine Serene produces wines from six individual vineyard estates, planted exclusively to Pinot Noir and Chardonnay. Each estate offers a diversity of soils, clones, rootstocks, microclimates, slopes and elevations that add distinguishing complexity and elegance to the wines. Ken and Grace insist on dry-farming their low-yielding, LIVE certified-sustainable vineyards, ensuring maximum expression of complexity and balance in the fruit. In 2001, the Evenstads completed construction of their picturesque, state-of-the art, five-level, gravity flow winery that was built to over-vintage wines in barrel while also holding up to three vintages in bottle prior to release. Ken and Grace came full circle in their passion for great Pinot Noir and Chardonnay when they purchased the respected Burgundy wine estate, Château de la Crée, in 2015. Featuring a restored 15th century château in the historic Côte de Beaune village of Santenay, Château de la Crée holds vineyards located entirely along the acclaimed Côte d’Or escarpment, including Pommard, Volnay, Meursault, Puligny-Montrachet, Chassagne-Montrachet, Santenay, and Maranges. The Château also boasts a state-of-the-art, gravity-flow winery that was built in 2011. Guided by an unwavering commitment to quality, philanthropy and multi-generational sustainability, the Evenstads have garnered global recognition as iconic producers of Pinot Noir and Chardonnay.